To meet the needs of manufacturers moving toward “smart” factories, Lanmark has completely redesigned its WinLase laser marking software. Built on Microsoft’s .NET framework, WinLase 6 enables customization of the user interface in any language supported by .NET, including English, German, Chinese, Korean, Japanese, Italian, Spanish and French. 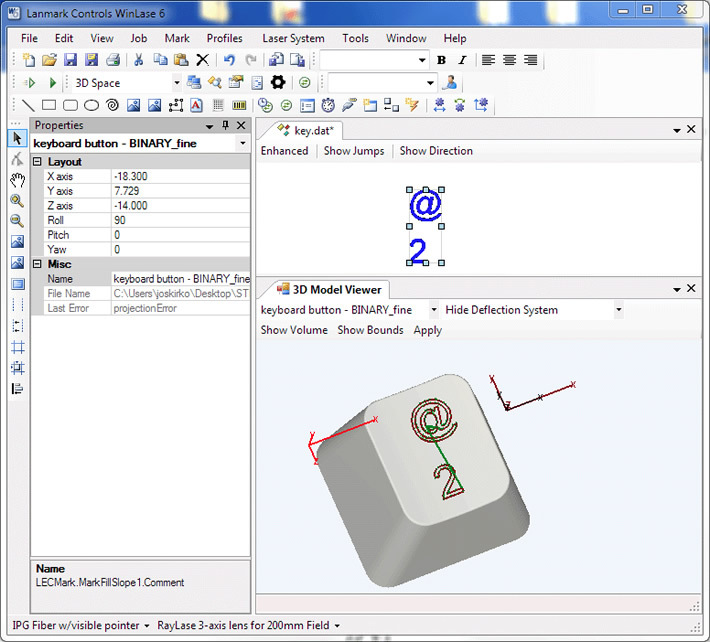 The software features full 3-D marking – enabling you to edit nodes and vectors and change properties without using an external graphics software package. Keep multiple instances of the software open for side-by-side editing of jobs. WinLase 6 seamlessly integrates with all of Lanmark’s laser marking control boards.